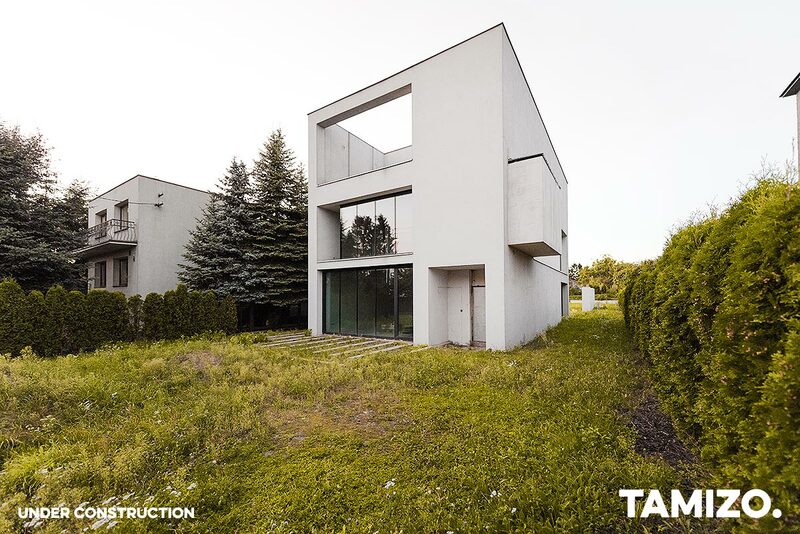 A small plot in Pabianice near Lodz, located in the district with cube cottage houses. 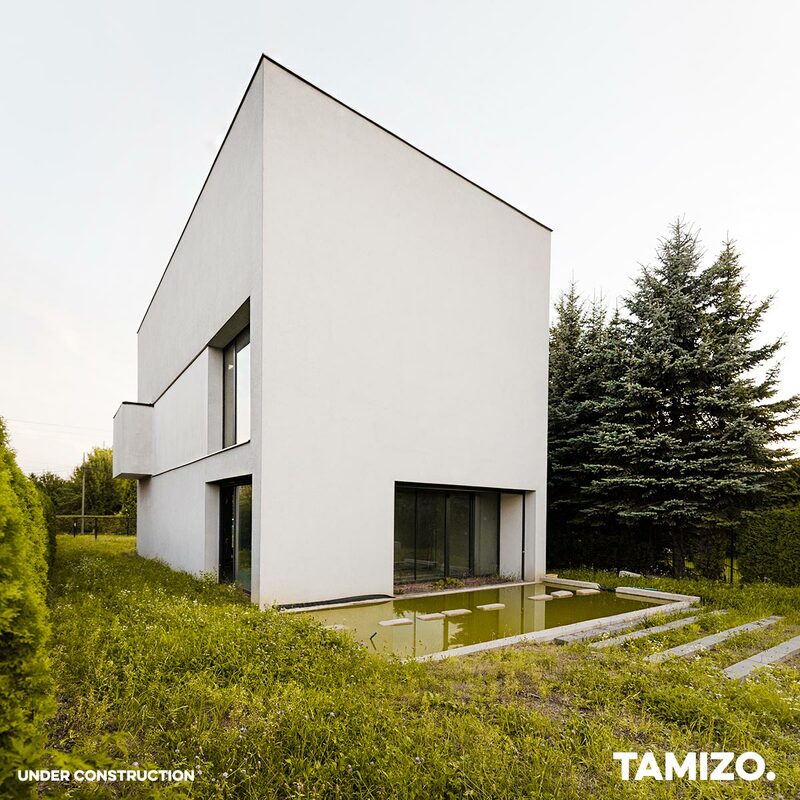 Land development conditions that apply to this plot define closely the building’s size and location, resembling the buildings in the vicinity. The primary disadvantage of this plot was the location of the entrance on the southern side and the garden the northern side. Therefore, to provide the proper illumination of a living room, it had to be situated on the street side instead of on the view side of the plot. Nevertheless, the issue of privacy or preventing looking into the living room from the street side remained unresolved. The idea of proposing an external patio appeared which would illuminate the living room and at the same time ensure the occupants’ privacy. 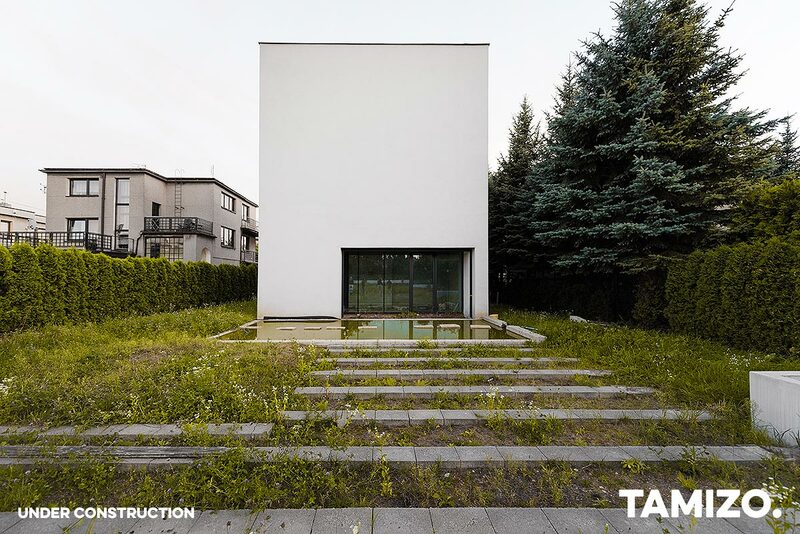 To this end, body of the house was pushed into the plot, but in order to meet the guidelines of land development conditions and to maintain the building alignment we replaced the body with a ground floor wall that separates the external patio on the street side. Despite being fully glazed, this wall cuts off the possibility of looking into the living zone. Pushing the house into the plot also allowed for the lack of alignment between the house windows and the windows of the neighbour’s house, preventing mutual eye gaze. The last storey seen from the outside does not seem to have windows. This effect is due to applying a similar procedure as on the ground floor. This storey is enclosed only partially and on the southern side a terrace enclosed by walls was proposed. By doing so, we let light into the house again not impeding privacy of the occupants.